Newcomer Family Obituaries - Vernon L. Leasure 1922 - 2019 - Newcomer Cremations, Funerals & Receptions. 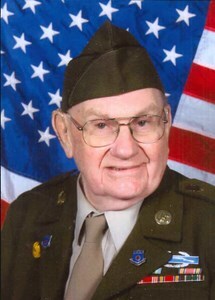 Vernon L. Leasure, age 96 of Mogadore, Ohio, died on Wednesday, February 6, 2019 at Akron City Hospital, his skilled hands and compassionate heart are now at rest. He was born on September 28, 1922 in Caldwell, Ohio, the son of the late Joseph L. and Anna (nee McElfresh) Leasure. Vernon was an honorably discharged US Army combat veteran of WWII. Mr. Leasure was a fleet manager for the US Postal Service for 30 years, retiring in 1984. He was a man of many skills and various interests, foremost, family, and helping others when he could. He especially enjoyed restoring two military jeeps with his sons and attending parades and veteran's events. He was especially proud of the trophies he won from the LCPL Nate Deyarmin Memorial Car Show and the Bantam Jeep Festival. Survivors include his children, Roger V. Leasure, Rodney E. (Valerie) Leasure, Kay L. Voorheis, Joseph C. (Erin) Leasure, and Brenda J. (Antonio) Catalano; his grandchildren, Michelle (Jody) Barnes, Carl Leasure, Cissie (Robert) Morrice, Sayra (Jeff) White, Jennifer (John Stantz) Voorheis, Nicole (Robert) Hogensen, Allegra, Brogan, and Anthony Catalano; his eight great-grandchildren and one great-great-grandson. His sister, Mildred Leasure is also surviving. Other than his parents, Vernon was preceded in death by his wife of 68 years, the former Catherine Forshey on February 20, 2010, they were united in marriage on April 11, 1942; one granddaughter, Caitlin Leasure; and one brother, Irvil Leasure. Funeral services will be held at 11:00 AM on Monday, February 11, 2019 at Newcomer Funeral Home, 131 North Canton Road, Akron, where Vernon Teagarden will celebrate Vernon's life. Family and friends may visit at the funeral home on Sunday, February 10, 2019 from 1:00 - 4:00 PM. Following funeral services on Monday, Mr. Leasure will be laid to rest with his wife in Hillside Memorial Park, Akron. Add your memories to the guest book of Vernon Leasure. Rest In Peace Mr Leasure. I’m privileged to have met you. I honor you sir for your service to our country and as a husband,father,grandfather. Your devotion to your family and country is something for everyone to admire. This world lost one of it’s best that can never be replaced. I sincerely hope those you left behind will find peace knowing you our reunited with your dear wife. I have such wonderful memories of Uncle Vernon and my Dad Toby working together as the inseparable "Sunshine Boys", helping so many people but never charging anything beyond cost of the parts. A big thank you to both of them posthumously for building on my wonderful back porch that I enjoy every day. My Uncle Vernon and Aunt Catherine were so special to me. Always loved going to their home as a young girl. The house always smelled so good As I aged I came to realize what a brave and honorable man he was. My daughter Rachel got to meet him when we took a trip to Ohio. When I told her he passed she remembered he was a nice man and funny. He told her he would find her a farmer to marry.we laughed again. Uncle Vernon would always come down to our place to hunt. He would bring his little camper down and park it beside the lane on the little hill. Met this wonderful man almost 55 years ago, was good friends with my parents, always there for my Dad, now talking about everything together again in heaven. We met Vernon and Catherine about 40 years ago through his daughter Kay. Vernon comes from the greatest generation and was a wonderful christian family man and friend. We will miss him very much.